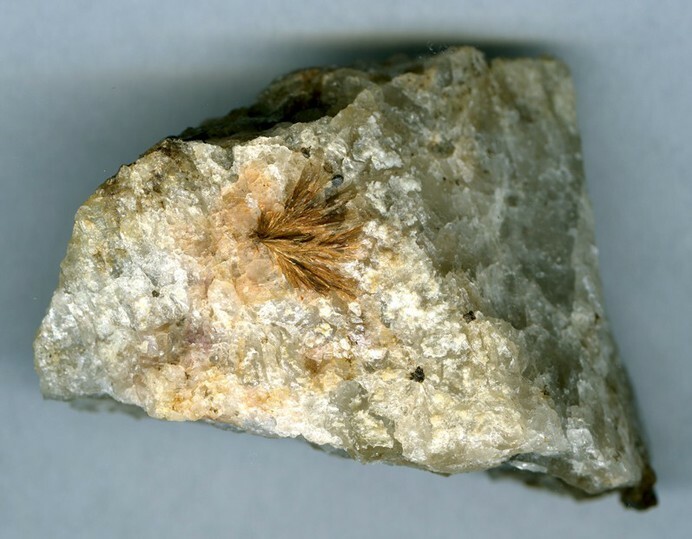 Hydroastrophyllite: Mineral information, data and localities. Originally described from Sichuan Province. Hydroastrophyllite was never approved by the CNMNC, and is thus not included in the IMA list of minerals. Quartz 10 photos of Hydroastrophyllite associated with Quartz on mindat.org. Riebeckite 4 photos of Hydroastrophyllite associated with Riebeckite on mindat.org. Calcian Elpidite 4 photos of Hydroastrophyllite associated with Calcian Elpidite on mindat.org. 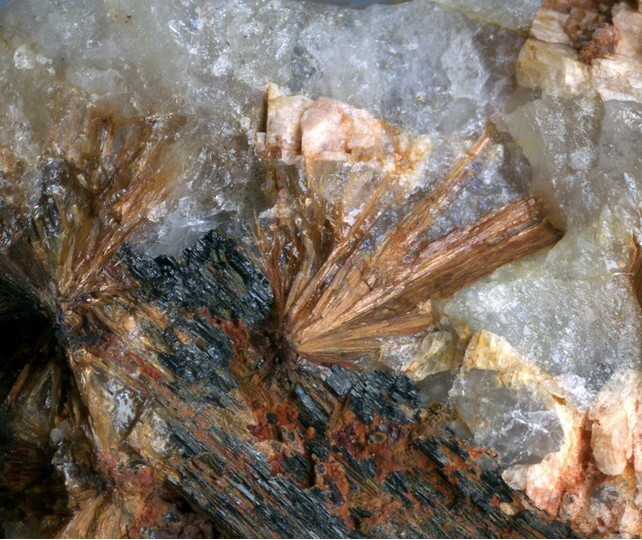 Aegirine 4 photos of Hydroastrophyllite associated with Aegirine on mindat.org. Zircon 3 photos of Hydroastrophyllite associated with Zircon on mindat.org. Microcline 3 photos of Hydroastrophyllite associated with Microcline on mindat.org. Tarbagataite 3 photos of Hydroastrophyllite associated with Tarbagataite on mindat.org. Voloshin A.V., Lyalina L.M., Ovchinnikov N.O., Savchenko E.E., Bogdanova A.N. 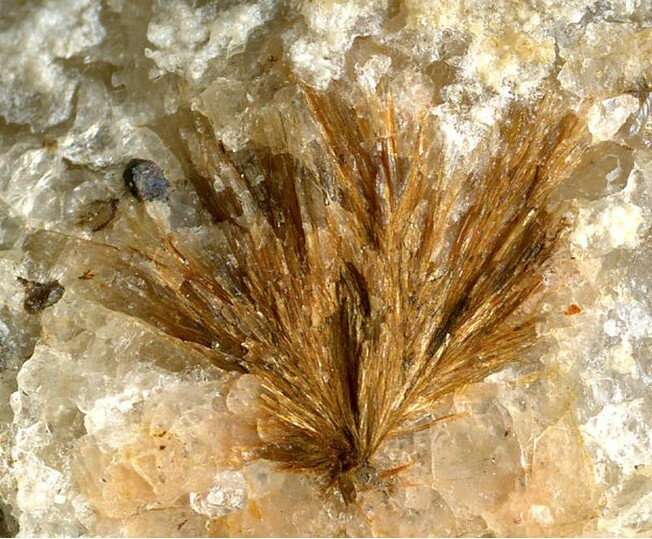 (2004) Hydroastrophyllite and Mossbauer spectroscopy of astrophyllite group minerals from silexites of Western Keivy, Kola peninsula. Geokhimiya, no. 10, 1-6 (in Russian). X-Ray Laboratory, Hubei Geologic College (1974): Scientia Geologica Sinica 1974(1), 18-33. - Voloshin A.V., Lyalina L.M., Ovchinnikov N.O., Savchenko E.E., Bogdanova A.N. (2004) Hydroastrophyllite and Mossbauer spectroscopy of astrophyllite group minerals from silexites of Western Keivy, Kola peninsula, - Geokhimiya, №10, c. 1-6 (in Russ. ).